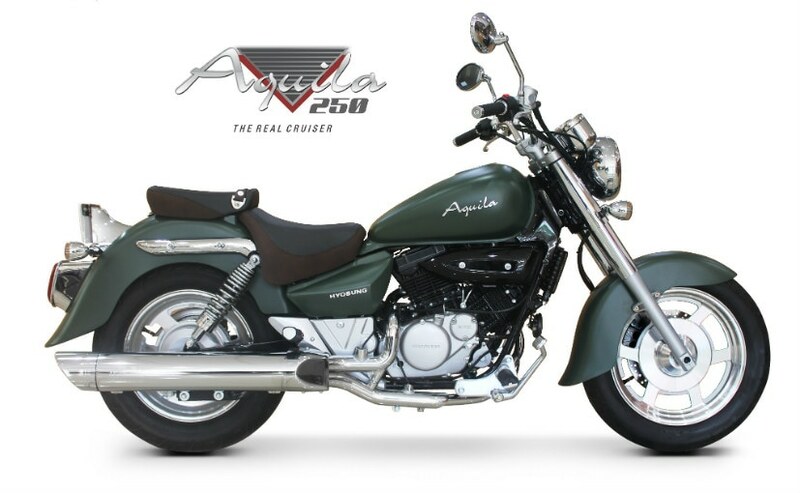 Hyosung has announced that it will be offering the Aquila 250 cruiser in three limited edition colours of Matte Green, Carbon Black and Desert Brown. Be advised though, there will only be a total of 100 Aquila 250 motorcycles up for sale and not 100 for each colour. The price of the Hyosung Aquila 250 in limited edition colours is ₹ 2,94,000 (Ex-showroom, Delhi). Hyosung is also offering attractive zero per cent interest financing schemes on its superbike range across all showrooms in India. 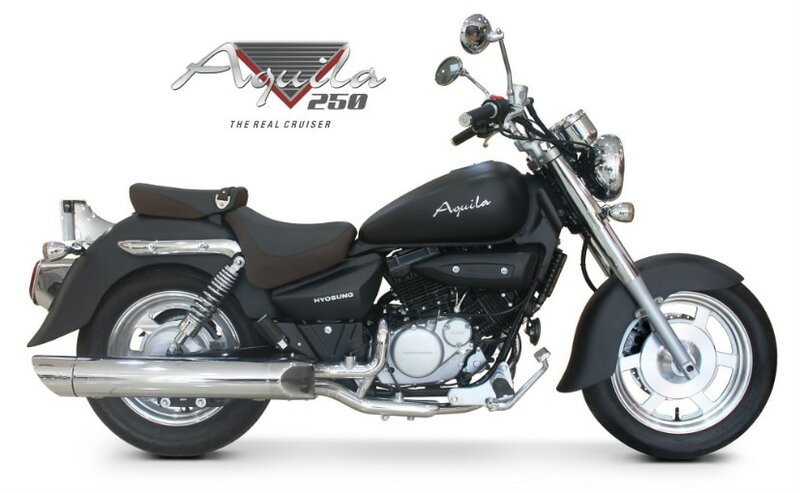 The regular Aquila 250 is priced at ₹ 2,84,000 (Ex-showroom, Delhi). 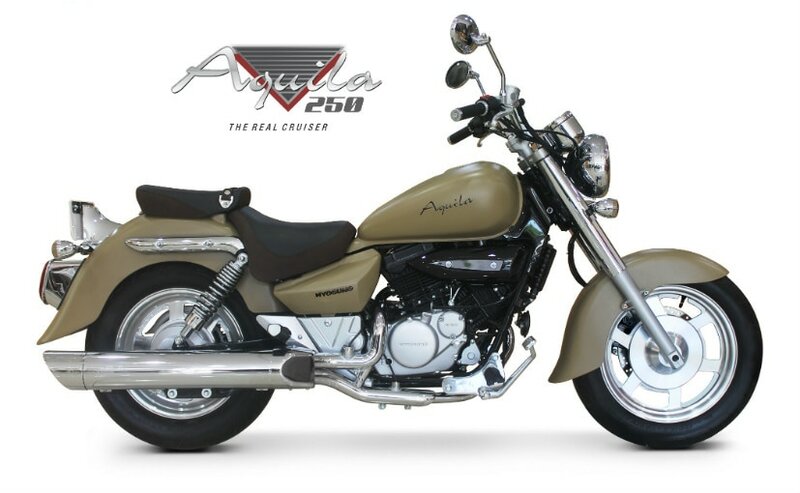 The Aquila 250 is a cruiser motorcycle, which gets a 249cc V-Twin engine that produces 26.21 bhp at 9,500rpm and a peak torque of 21.37 Nm at 7,000rpm. The engine is linked to a 5-speed gearbox and has a kerb weight of 179kgs. At the announcement, Shirish Kulkarni, Chairman, Motowheels said, "The Hyosung Aquila 250 has been a high-demand cruiser in the sub-500cc market segment. In order to mark its success, we are proud to announce 100 limited edition units of the Aquila 250 which will be available in three trendy colours including matte green, carbon black and desert brown. We have partnered with various financial institutions to provide interest free loans for all the motorcycles on offer in the Hyosung line-up." Currently, Hyosung has 32 dealerships across India.